The famous company Microsoft is also stopping its extended support after shutting down the mainstream support of its computer operating system Windows-7. The company has already closed before adding new features to this operating system. Extended Support will stop from January 14, 2020, next year. However, according to the information, the end of the extended support of Windows-7 will not stop working from the computer. But users in this regard will stop getting fleshy updates. In such a situation, the user will not be able to get any support if there is any problem with the computer. Windows-7's expanded support can stop the market share of Windows-10 much later. Because more and more people will adopt new versions of Windows to secure security patches. However, the upgrade numbers of Windows-10 will improve with the shutting down of Windows-7. The possibility is that the sale of new PCs will be off by the close of Windows-7. The launch of Windows-10 was done in 2015, but it has not been adopted by users because support for Windows-7 was available. Now many privacy improvements have been made in Windows-10. 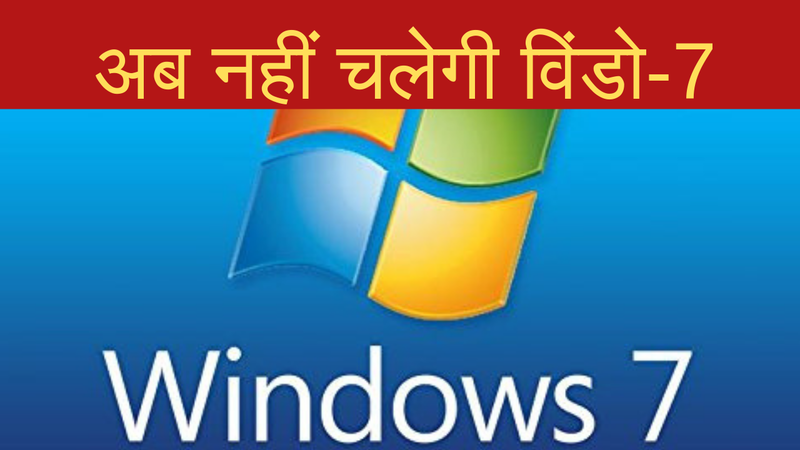 This is the reason that users of Windows-7 will take it soon. The availability of Windows-10 is currently active on over 70 million devices. It has recently been declared by Web Analytics as the most famous operating system.